February 14th is more than just Valentine's Day - it's also Library Lovers Day. 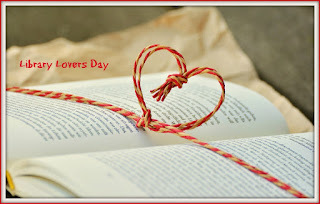 This is a day to honor libraries, librarians and all us bookworms who love libraries and the books they hold. Some say that the whole month of February is a time to celebrate libraries. I say ANY day is a time to visit a library! With vast knowledge available at your fingertips on the internet, and with the invention of e-readers, one might think that public libraries are on their way out. But wait.... libraries are more than just places with books to borrow. They are places for meetings for groups of hobbyists or shared-interest groups. There are regular story hours for toddlers. There are magazines and periodicals, movies and music, and the availability of microfiche of local newspapers for research purposes. And, in keeping up with today's technology, most libraries have computers available for use. Librarians must have a degree in Library Science, thus making them invaluable in helping you find everything from obscure information to the latest best seller. And just as borrowing a book is free, so is a librarian's assistance. 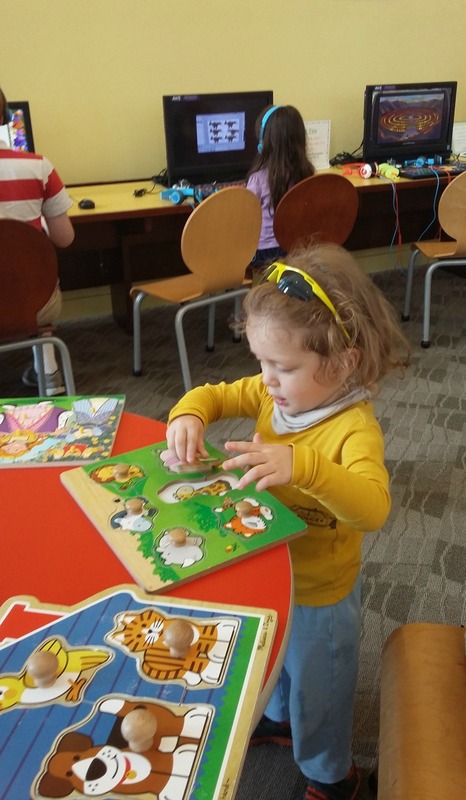 Many libraries have a section just for children where they can play quietly while older siblings and parents look for books to read. In a Cincinnati suburb near my son's house, such a play area at their local library is a favorite of my grandsons. 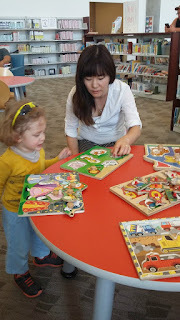 There are small tables & chairs where they can read a book or play with jigsaw puzzles. There are also computers set up just for children. The play area is light and airy located near big windows and also has comfy soft chairs for the parents to sit with a book while the children play. On a recent visit, I enjoyed a wonderful hour there with my grandsons. Their mom takes them to this library at least once a week. The library even has a coffee bar for adults to enjoy. 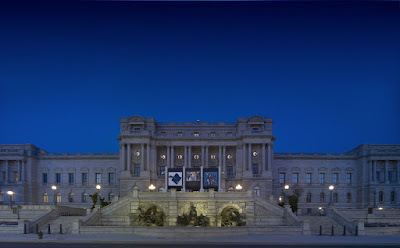 The Library of Congress in Washington, DC is the largest library in the world. Within its collections, there are literally millions of books, recordings, photographs, newspapers, maps and manuscripts. 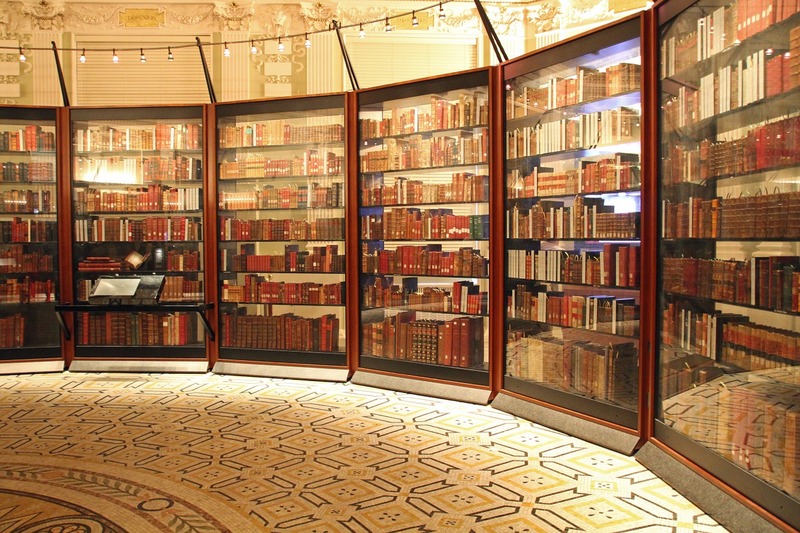 The 164 million items are stored on some 838 miles of bookshelves. It also has the world's largest law library, with more than 2.9 million volumes, and contains United States congressional publications dating back to the nation's founding. 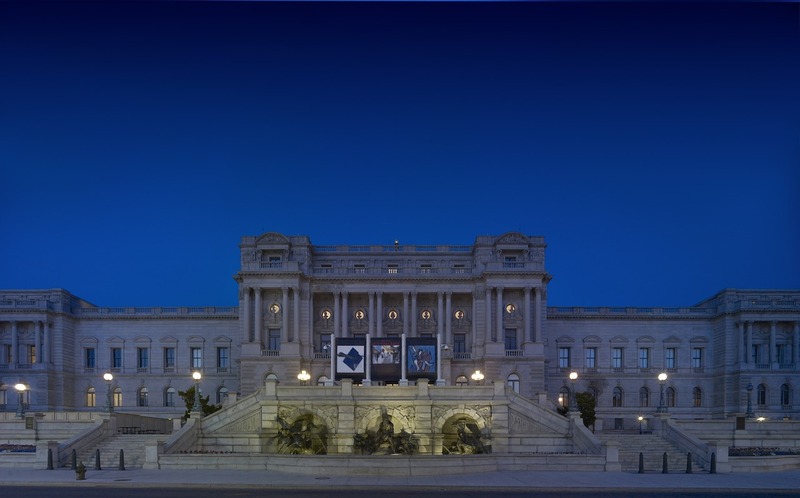 The Library of Congress was founded in 1800 and is the oldest federal cultural institution in the nation. It also is the main research arm of the U.S. Congress and the home of the U.S. Copyright Office. *Our own BarbRad reviews books here on Review This! Barb also talks about educational and children's books on her blog Books to Remember. *Reading is a pleasure beyond words. I described how much my family loves books and reading in "For Love of Reading", along with a list of our favorite books. Visit your local library and check out a book. Volunteer at a library book sale. 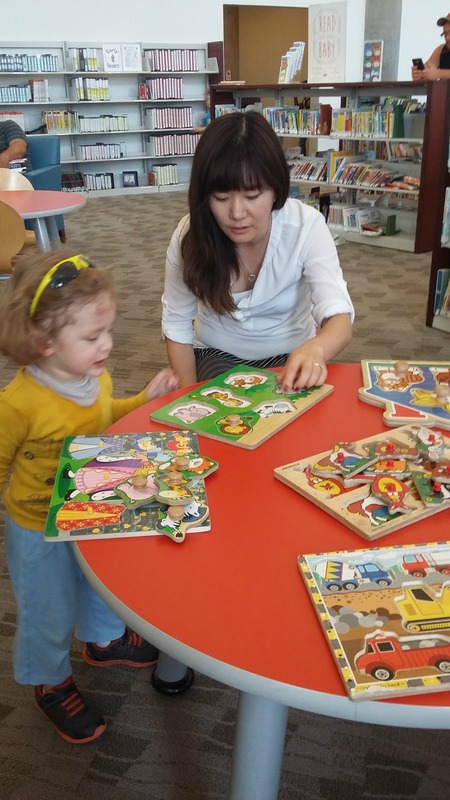 Take your child or grandchild to a library story hour or help a child get their very first library card. You will open a magical world to them through the joy of reading.